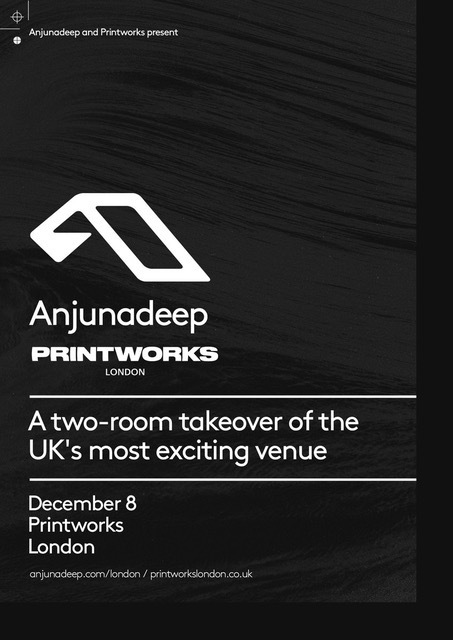 Anjunadeep will takeover Printworks London on Saturday, December 18th with 18 label acts across its two rooms. It’s the label’s biggest club show to date, and follows their first UK festival, Anjunadeep Open Air: London, which hosted 7,000 revellers in the summer. The Printworks show will see Yotto and Luttrell join forces for a back-to-back set to close the main room. Label boss James Grant will team up with frequent collaborator Jody Wisternoff for a two-hour set while Eli & Fur, Jeremy Olander, Joseph Ashworth and Kidnap will provide support in the Press Halls. Alex Metric & Ten Ven, John Monkman, Gallago, Dosem, Modd and Dee Montero will play the Dark Room while Anjunadeep’s resident A&R’s Dom Donnelly, Penelope and Daniel Curpen will represent the label sound across both rooms. For tickets and details go to kaboodle.co.uk/printworks.